Hello friends, I have fun news to share today. 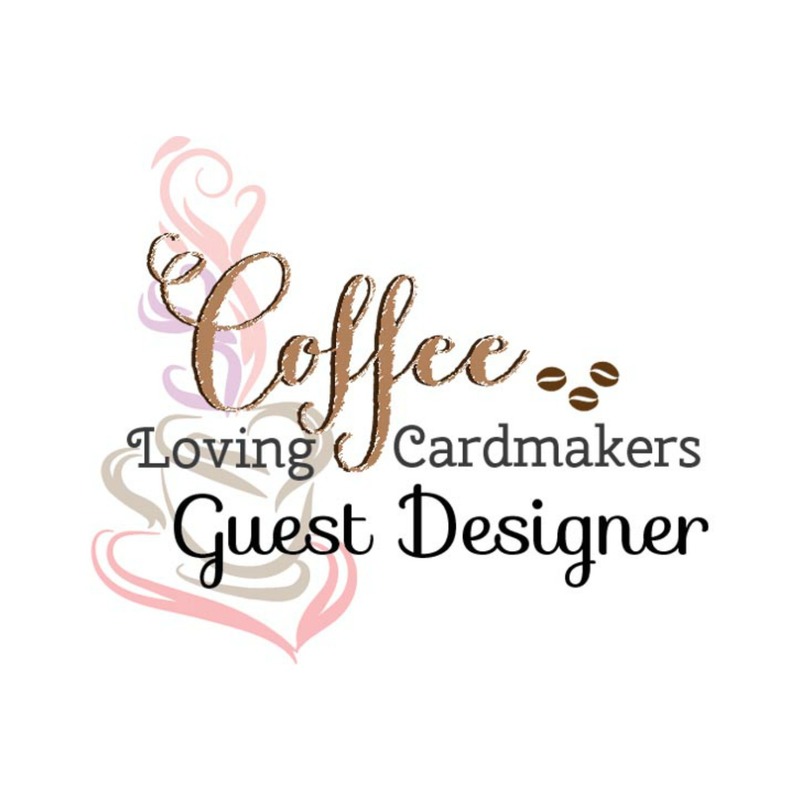 I'm honored and excited to be guest designing all month over on the Coffee Loving Cardmakers Blog. 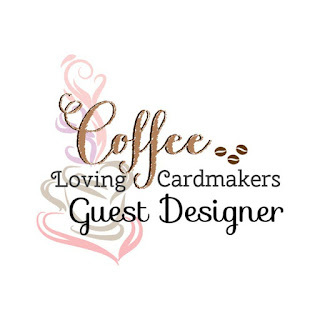 For more photos and all the details on how I put this bright and cheery Valentine coffee card together: Visit today's post on the Coffee Loving Cardmaker's blog. Just want to grab hold and take a big sip! This is totally gorgeous! This is so beautiful. Love your colors, and that wonderful coffee cup and glittered hearts. and forgot to say....Thanks so much for playing along at Time Out. OH WOW that looks SO yummy Esther! Thanks so much for playing in our ‘Use the color RED’ challenge at Dies R Us. Good Luck and please come back again soon! Since I am not a coffee drinker I will pretend this is a nice cup of cocoa :) pretty sparkle on those hearts and sweet sentiment! Oh Esther, I just love this! The background, the layers, the bling.... it's all came together perfectly! Thanks so much for linking up to the DRU "Color Red" challenge. Best of luck to you! It is a beautiful card! One that keeps me going back and see more! Like the layers and texture that you used; makes it a special card! Thank you for joining us at TIME OUT! Very nice card! Such fun with all the interesting layers. And then there's the coffee drink! Thanks for joining in over at a2z Scrapbooking. Wow it's so beautifully done!! Thanks for joining our February challenge at a2z.